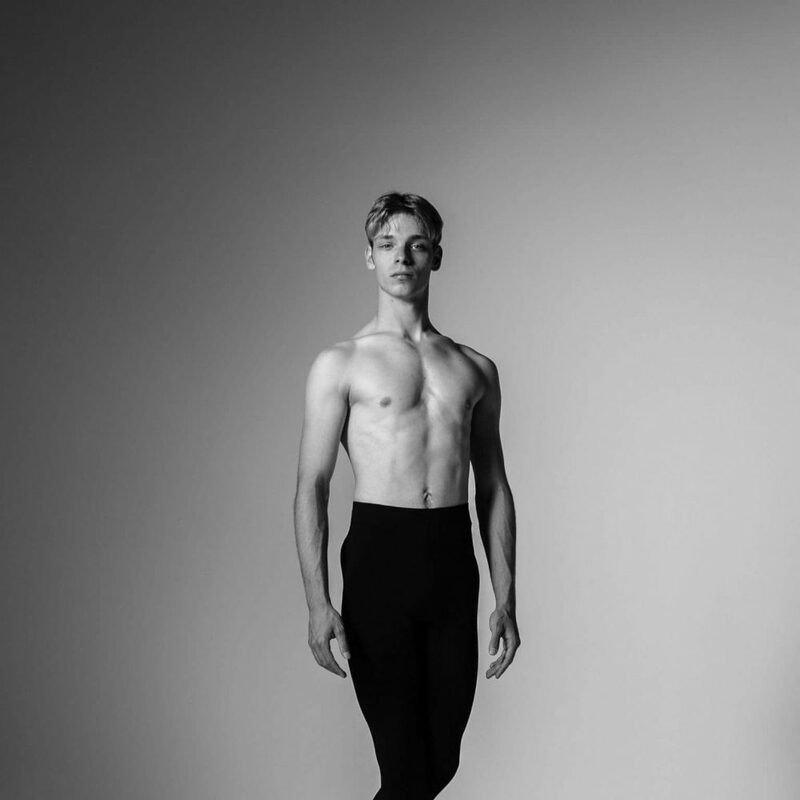 James Hobley, first known to the general public as a Britain’s Got Talent finalist in 2011, has graduated from English National Ballet School and has a contract to start his professional career with Scottish Ballet. James Hobley, a fifteen-year-old from Redcar, has been offered a place at English National Ballet School. Congratulations, another Billy Elliott makes his way to London! Yes, but James’s story is quite special and while any young dancer managing to surpass ENB School auditions is outstanding, young James’s achievement is exceptional. James is autistic. His twin brother is autistic as is his elder brother. The twins were born in June 1999, appropriately under the sign of Gemini. That article announced that he would be taking up the offer of a place at ENB School after the summer. He was the recipient of a Dance and Drama Award (DaDA) which is given to a student based on a combination of merit and financial means. After three years, I caught up with him and asked him about those first days in London. My mum and I travelled down by train from Redcar, in the North East, to Kings Cross station before the first day. A lot of places in London wouldn’t accept under 18s, but I managed to secure a place in a hostel in Victoria. I was staying in a shared room with three other people, and the room was about the size of my living room at home — which wasn’t very big. My mum was worried about this and so she stayed there for two nights before ENB School started. Once my mum had gone home, it was quite lonely to begin with as there were mainly foreign people at the hostel and they couldn’t speak much English, and no one from ENB School was there. I didn’t have a lot of money, so I had to watch what I spent, especially as there were no cooking facilities in the hostel, meaning that if you missed the ‘dinner time’ — which often happened as I finished late most days —there would be no more food until the next day. In those first few months at the hostel I often went hungry. School, too, was challenging but problematic at the beginning. Days at school were difficult because they were very long — we had 8.30am until 6.30pm days, five days a week, and on Saturdays we had class. The remainder of my weekend would be doing laundry, homework and assignments that I had got from Dance Through Time [one of a series of in-house courses that replace A level dance at ENBS], Benesh notion and other studies. ENB School gave me an independence that I’d never had before, forcing me to grow up very quickly as I had to find my way around London alone and was living by myself for the first time. The school gave me such great opportunities: we saw ballets with The Royal Ballet and English National Ballet and I got the opportunity to take class with English National Ballet and work with them in productions such as The Sleeping Beauty and The Nutcracker in my final year. I’m going to name all my great teachers and choreographers as they were invaluable! I had the pleasure to work under Yves de Boutillier, Juan Eymar, Antonio Castilla, Roberto Almaguer, David Yow, Nuno Campos, Olga Semenova, George Williamson, and my Directors of Dance, first Samira Saidi then Carlos Valcárcel. Outside the school year in London there were other opportunities to dance and learn. I always looked forward to the summer because it meant Yorkshire Ballet Seminars for two weeks. The summer school was set on the outskirts of the beautiful city of York and was headed by Marguerite Porter, the former Royal Ballet Principal. I spent six days a week doing classes that included contemporary and classical, and there were masterclasses and virtuoso classes every day given by world class teachers. The boys’ ballet classes were taught by people like Yosvani Ramos, Ricardo Cervera, and Edward Watson, and the masterclasses were excellent as incredible dancers such as Anthony Dowell came to teach. The other students were amazing as they were from the most prestigious schools in England — Elmhurst, The Royal Ballet School, Central School of Ballet and English National Ballet School. I formed some great friendships at the summer school despite the friendly pirouette competitions every now and again. The wonderful staff, such as Marguerite Porter and Laura Connor, made the summer school feel like I was going home every summer, back to my other family in York. Without their support and belief over the past five years, I wouldn’t be where I am today. 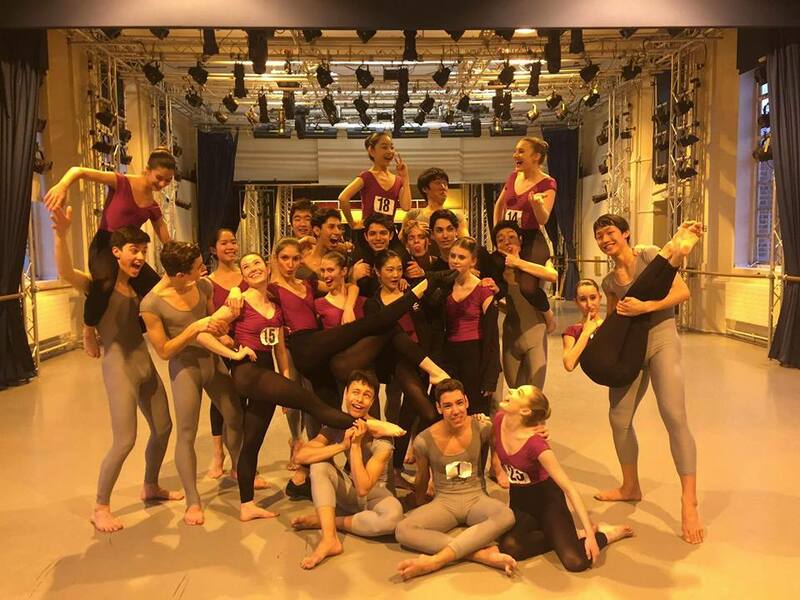 At the end of his second year at ENBS, he was awarded a scholarship to attend the international ballet masterclasses in Prague run by Daria Klimentová. It was a fantastic experience being in a different country and being in a class full of other students and professionals from around the world, also being taught by incredible teachers like Vadim Muntagirov who on occasion demonstrated movements and left everyone in awe. Furthermore, the classes such as pas de deux were a real challenge as we learned various excerpts from ballets. Every night a different guest teacher or member of staff would have a Question and Answer session which was a great opportunity to learn about various dancers and directors. 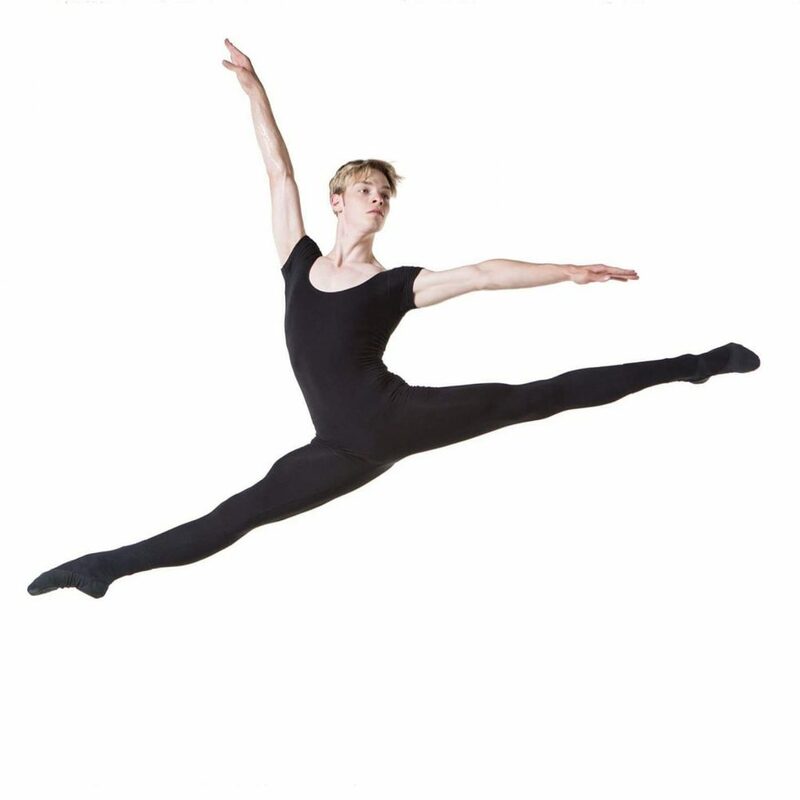 James was already 15 when he arrived at English National Ballet School, having studied in several other schools after his very unconventional start to dance. There was still a lot to learn. The turnout of my legs improved a lot through exercises and repetition of movement, the shaping of my feet in movements like arabesque and tendu improved also. However overall, I would say that my understanding of myself and my own body has changed the most. I have become much more my own teacher, rather than waiting for someone to correct me. Understanding which muscles are vital to certain movements, and what I need to strengthen in order to perform movements. I feel that a lot of technique is in your head. This the biggest stride that I have made so far, and although I don’t believe I can ever master technique, as perfection is impossible, I will never stop trying! His autism has created its own special set of difficulties, though they are not problems exclusively for those who are autistic. Projection was always a problem for me in the past. Maybe my head was up, but my eyeline was down. When I was younger I would get so much into my own zone whilst dancing that I forgot there was an audience. I internalised a lot of what I was doing instead of giving to the audience. During my time at ENBS I practiced and practiced choreography, steps, and projecting until this wasn’t a problem anymore, in fact I think that performance and artistry is one of my strong suits in ballet. It was the same with picking up choreography, as it took me a long time, with much more rehearsal and practice outside of class to really improve on that. Now I have overcome this problem. One of the things that has helped me was by working with lots of different teachers and choreographers to learn different combinations — it’s a case of muscle memory and ‘practice makes perfect’. His attitude towards his autism has evolved over the last few years. I have learned to accept that autism is not just a part of me, but it’s who I am. I don’t have to announce it. People accept me for who I am. My brain is programmed slightly differently to other peoples and sometimes I have a different perspective on things but that’s not always a bad thing: it’s like windows and mac, they are different operating systems but still reach the same answer, but just use a different process. I have a strong work ethic and due to autism I sometimes have to work a lot harder than everyone else, but all that matters is that I get there in the end. Standard signs of autism include avoiding eye contact, preferring to be alone, and a difficulty in empathising with other people’s feelings. There is a wide spectrum of autism and not every autistic person feels things in the same way or to the same level, but social and physical interaction in a ballet school is surely more necessary that an ordinary sixth form college. James’ capacity to interact has improved. In ENB school there is a high percentage of foreign students. At the start of my first year there was a lot of little groups that spoke their own language, like a Japanese group, Italian group, Spanish group. I befriended the Japanese group first and experienced Japanese food for the first time, and I learnt about their culture and even tried to speak the language… still trying. By the end of my first year, the whole year had gotten so much closer, as everyone’s English improved, and we became one large group. By the end of the term we were all enjoying lots of birthdays, parties and costa coffees together. 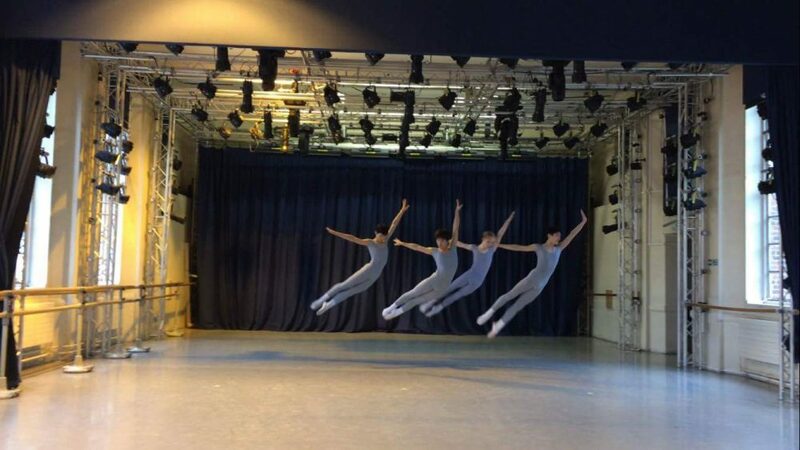 One of the privileges of attending one of the large ballet schools is the opportunity it provides to dance in full-blown productions in professional theatres. During my first year at English Ballet School the highlight of my year was the choreographic competition in which my friend Josue Moreno Legarda chose me and a few others to be in his winning piece of choreography. The work was very energetic and virtuoso, nothing like what was performed then or ever since, with flips, turns, jumps and tricks in the choreography. It was such fun to dance! On the judging panel were some truly wonderful people such as Wayne Sleep and Tamara Rojo. In my second year the highlight for me was performing in My first ballet: Cinderella in which we learned a condensed version of the ballet and took it on tour across England performing in some amazing venues such as the Liverpool Empire. In Cinderella I danced the winter variation which is a slow, adagio solo that involves a lot of arabesques and chase motions, along with a cape. I thoroughly enjoyed the solo; it wasn’t like anything I had danced before, and it was a big challenge for me, especially dancing with a cape! In the third year of ENB school I danced the Jewels variation from The Sleeping Beauty choreographed by my teacher and School Director Carlos Valcárcel, which was a pleasure to dance as the movements in the variation suited me well and I feel that I embraced the lavish and elegance of the gold variation. I performed this variation as part of the Summer showcase of English National Ballet School in the Wimbledon theatre. During James’ third year it was time to start looking ahead and planning for life outside the reassuring structure of a school. I started applying for companies in November of last year and my first auditions came in January, which may seem a little early but ‘the early bird catches the worm’, as they say. The Scottish Ballet audition lasted for two days. In the morning we had a ballet class, and after the class on the first day there was a contemporary session in which we learnt some of the repertoire of the company and performed it in front of the director. On the second day, after the morning ballet class, the director chose a select few to do the classical ballet repertoire which was the last and final bit to the audition. After the ballet repertoire, we went for a physio check-up and then to an interview with Christopher Hampson, the director. A few weeks later I received an email offering me a contract. I start on the 8th of August! A couple of weeks ago the school term finished, James and his fellow dancers and friends graduated, and they all left for different cities… different countries. When I broke up from school I felt excited to start on the journey of my professional career, however I also felt sad because of all the friends I had to say goodbye to. After three years at ENBS I feel that everyone at the school is like family to me, so it was a very sad time, but the dance world is small and so we will undoubtably all see each other again. English National Ballet School supplies dance talent the world over. This year’s graduates will be headed to Rome Opera Ballet, Sarasota Ballet, Semperoper Dresden, Leipzig, Cape Town, Bucharest and Atlanta. Some of my closest friends are Conner Jordan Collins who will join Northern Ballet, Louis Cohen who goes to Birmingham Royal Ballet, Toni Canellas is going to Hungarian National Ballet, Riku Yamamoto to Hungarian National Ballet, and Rentaro Nakaaki will be part of English National Ballet. I am really excited to start Scottish Ballet as it is such a prestigious company and I am looking forward to working with Christopher Hampson, and the choreographers and staff who work with the company. This will be a new chapter in my life and it’s the start of my professional career, and to be getting paid for what you love to do is just a dream come true, not many people can say that. I feel very lucky and privileged to be able to pursue what I love.